LAKE CHARLES, LA (KPLC) - A charity basketball tournament at McNeese State University raised thousands of dollars for the Special Olympics on Sunday morning. 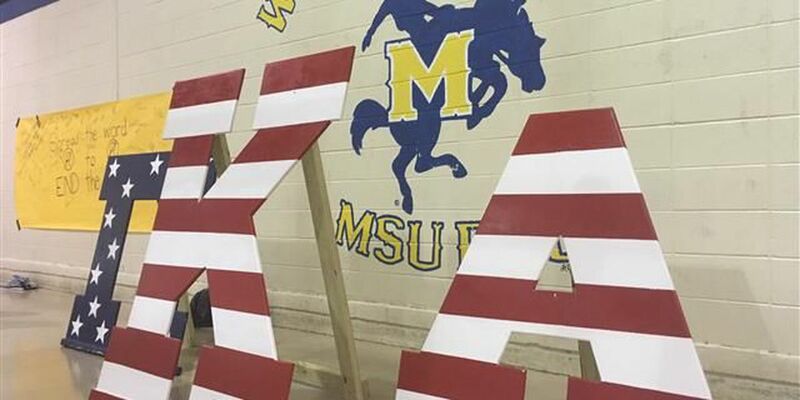 The MSU fraternity Pi Kappa Alpha hosted the event, called the "PIKE Slamma Jamma," at the McNeese Recreational Complex, where over 200 people - including Bethany Trahan, 2017 Miss Louisiana USA - showed up to watch McNeese students and Special Olympics athletes compete in friendly basketball matches to raise money for Special Olympics Louisiana. There was also a DJ, face painting, and photo ops and autograph signings by MSU athletes, Miss Louisiana, and Special Olympics athletes. The event raised around $4,500 for Special Olympics Louisiana, which surpassed Pi Kappa Alpha's fundraising goal.